An extortionist has contaminated adult and baby food in Germany in the hope of gaining millions of euros, police say. Officials in the city of Konstanz say that the threatening email was sent to unspecified food retailers. It is reported to have warned that food would be poisoned throughout Europe unless 11.7m euros were paid. Police are seeking one man seen on camera. A nationwide alert for Germany has been issued after officials in the south of the country last week said they were informed that five jars of baby food had been tampered with. The jars were found to contain ethylene glycol, an odourless toxic liquid. So far there are no reports of any injuries. The colourless substance has a sweet taste and is known to attract children and animals. Officials have not said which retailers were targeted. "We are taking the threat very seriously," Konstanz deputy chief of police Uwe Stuermer said in a news conference. "[But] there is no reason for panic or hysteria." Police have nevertheless alerted people buying groceries to be aware of suspect packaging which may have been tampered with. 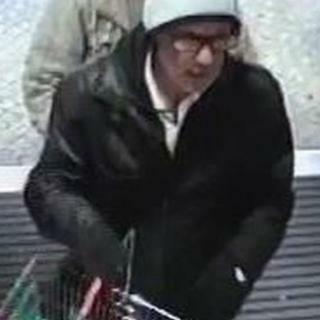 Officers are pursuing a male suspect aged about 50 who appeared in security video footage in a supermarket located in a town near Konstanz. The footage has been made public so that officers can, if necessary, rule him out of their inquiries. Authorities in the south-western state of Baden-Württemberg have meanwhile pledged to increase the number of food safety checks to try and identify any contaminated items. But they have warned that such measures cannot easily be carried out. "The case is difficult because the blackmailer did not say which food will be targeted or what poison he will use," a consumer protection official quoted by Reuters said.